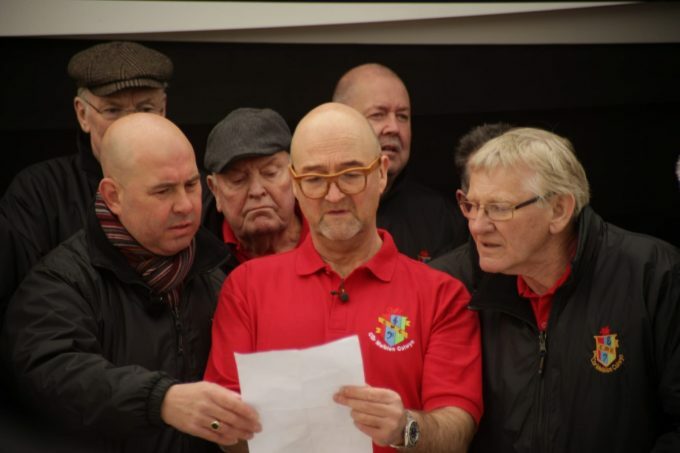 The choir was invited to appear on the popular BBC television program Antiques Road Trip. This was pre-recorded with the program being aired later on in the year. 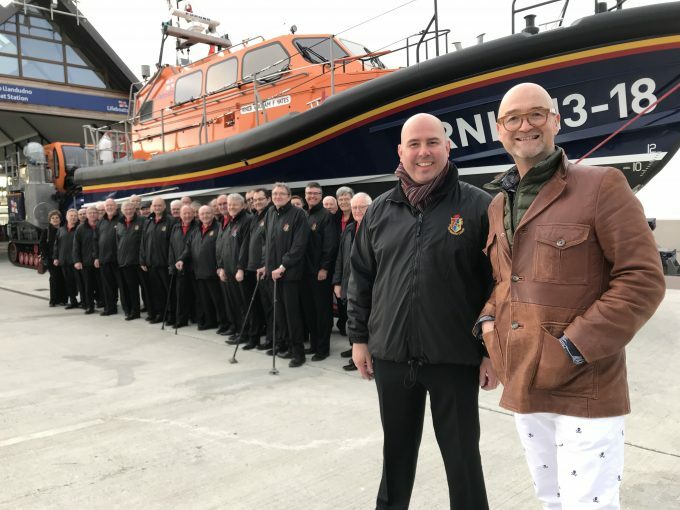 The program was set in North Wales with choir location being in Llandudno and the perfect setting of the RNLI boathouse was selected to record the choir’s contribution. Our Vice-Chairman Hywel Roberts was the link between the choir and the program’s antique expert David Harper. Interviews were recorded between David and Hywel in various locations around Llandudno to be included in the program. 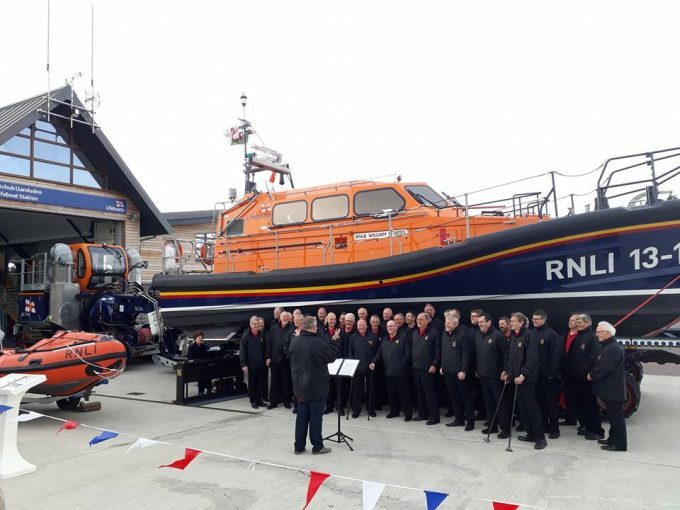 While we were awaiting the arrival of the BBC film crew we gave a short half hour concert for the public in front of the RNLI William F Yates lifeboat. A superb backdrop on a dry, bright but cold Sunday afternoon. Of course there was an invitation to David Harper to join us in song, the obvious choice was of course was the globally known Cwm Rhondda. So with a quick glance to refresh his memory of the words, including a repeat of the final chorus in Welsh, with a little help from his friends in the tenor section he was ready. Suitably dressed in a choir polo shirt for the scene the recording was done and in the can. 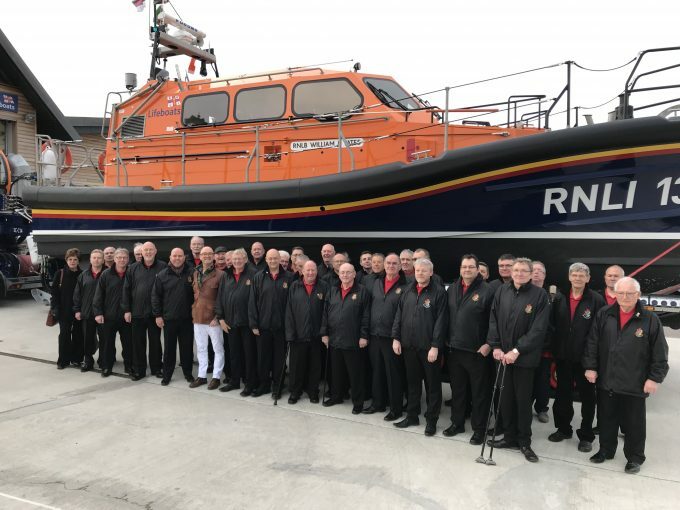 A huge thanks for the hospitality given to us by the staff and crew of the Llandudno Lifeboat at their impressive boathouse. The professional recording crew and the charm of David Harper made it a super afternoon and we look forward to the program being aired on BBC 1.